Unrivaled. A cheap business entry level laptop in a 13-inch format and the latest ULV processor, the Intel Core i5-4200U, from HP. This slim model weighs a mere 1.6 kg and wants to be recognized as a serious mobile companion. 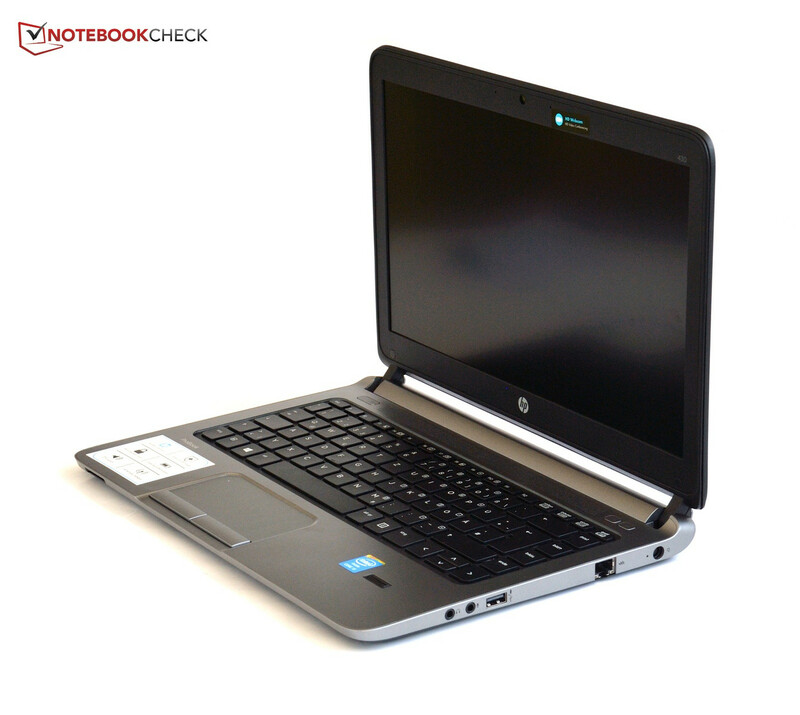 The smallest notebook of the HP ProBook 400 series is the cheapest subnotebook that HP offers its customers. This makes it a subject of interest for small businesses and even demanding private users. After testing the 15- and 17-inch models (ProBook 450 and 470), we now turn to the smaller sibling the 430. This test model is much slimmer, lighter and saves on power (in comparison to its bigger siblings). In addition, the latest Haswell architecture can be found embedded in its heart, which we are grateful for, as many a manufacturer would have chosen the older Ivy Bridge generation. This feature makes the test model special and even unique: few models can offer the latest hardware in such a compact form. Neither Dell nor Lenovo offer a subnotebook based on the Haswell architecture for business users. Fujitsu has the U554 (test coming shortly) which is priced higher. Buyers who are happy with the Ivy Bridge generation can choose the Dell Latitude 3330 (review with Sandy-Bridge processor) which is a subnotebook in the same price class. Uneven gaps in the corner of the display cover. 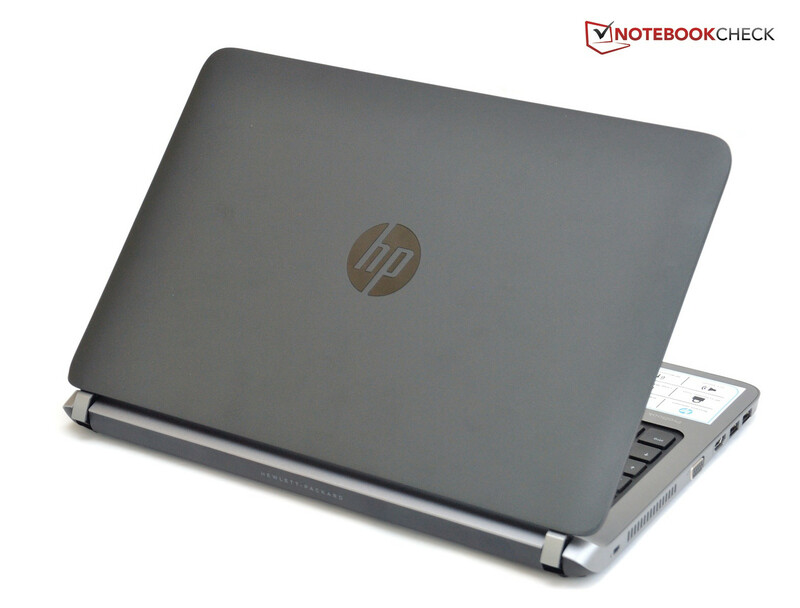 HP boasts of its stylish design in the HP ProBook 430. 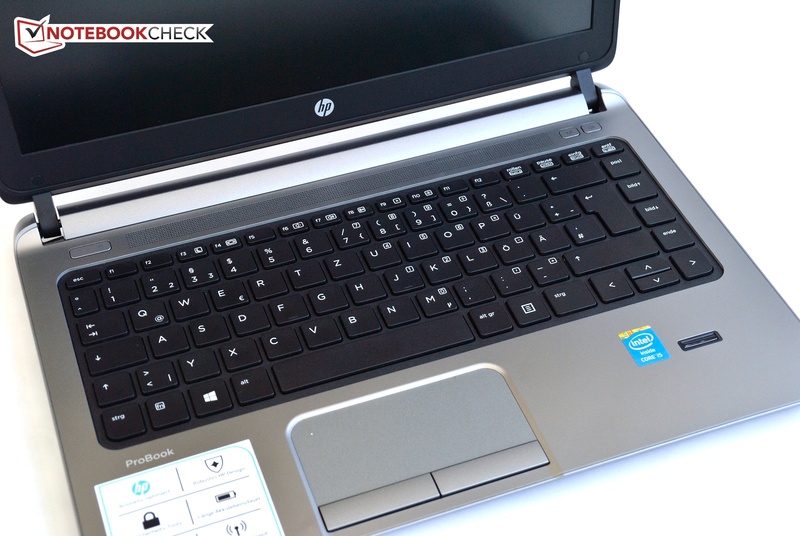 In fact, it is quite nice to look at: the rubber display cover with a glossy HP logo recessed into it is impressive. However, this positive impression is ruined when touching the notebook leaves behind clearly visible grease marks. The hand-rest regions are made of a matte gray metal. In contrast to the display cover, it is far less accommodating to dirt or grease marks. 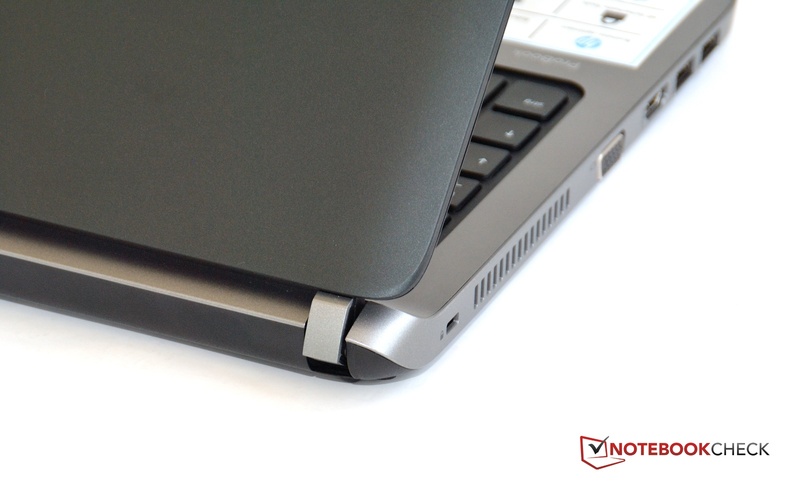 The rough synthetic material on the bottom of the model gives the laptop a good hold. 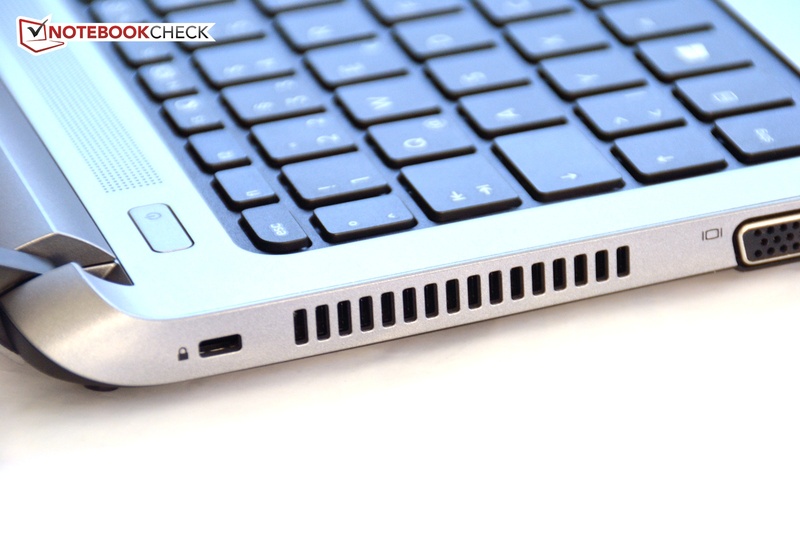 The laptop measures a mere 23 mm (height) in the rear, making it quite a slim model. The low weight of around 1.6 kg is also a blessing. The mobility of the model is quite good thanks to these properties. The sturdiness of the base unit is decent. The case cannot be deformed strongly in any one spot, but the display is softer and if it is pressed inwards, the screen may show artifacts (near the region of the HP logo). The hinges are rather weak, which means using the laptop on a bus will mean that the user has to adjust the display every once in a while. The battery eats up a lot of the space in the back of the laptop, but thankfully the model remains stable even when the battery is removed. The workmanship leaves much to be desired as this is a business notebook, but for this cheap the user should not expect more. The uneven gap in the top corner of the display cover is a good example. All important ports are available, but they are not optimally positioned. On the front left edge, we have the two USB 3.0 ports and the HDMI is right next to it. These three ports are quite close to one another, which might lead to problems if the user wants to insert wide connectors. The sides of the case have sufficient space and we believe that they should have been spaced out more. On the left side, we also have the VGA port, which provides a decent signal for external displays. On the right side, we have the power outlet and the audio jacks. One more USB 2.0 port is placed alongside and this one has a higher power output (to run external optical drives). A LAN port can be found on this side as well. The front houses a slot for SD and MS Pro memory cards. An optical drive has not been included in the ProBook. 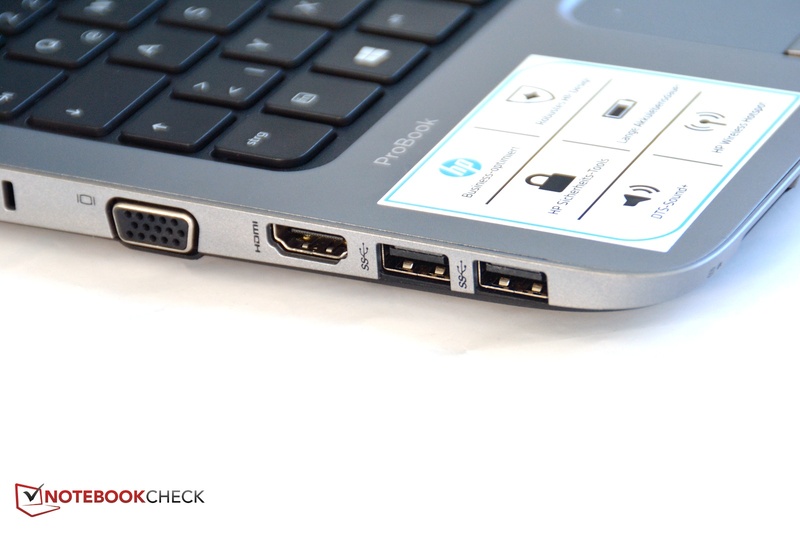 HP integrates Gigabit-LAN, Bluetooth 4.0 and WLAN in their ProBook. Furthermore, it is possible to connect to the internet on-the-go using HSPA+. Unfortunately, the WLAN reception is not great. The signal is good next to the router, but it breaks down if we move behind a few walls. 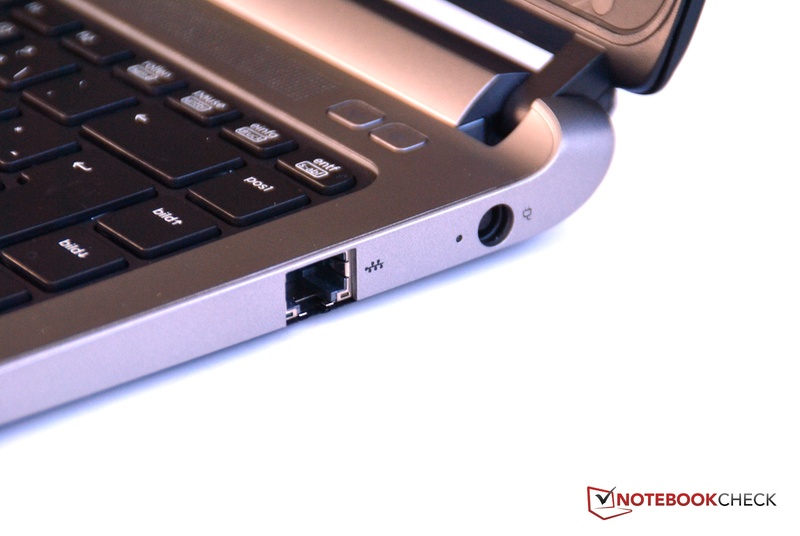 Most of the notebooks we tested to date (like the Schenker Xirios B502 with Intel Centrino Advanced-N 6235) were also slow in these conditions, but they could still maintain an internet connection. Maybe the problem lies with the placement of the two antennas, but it could also be the fault of the manufacturer, Mediatec. The WLAN card supports the b/g/n standards with a max of 150 MB/s. The 5 GHz frequency can not be supported. The mobile broadband card is named the HP hs3110, but once the maintenance flap is opened, we see the real name: Huawei MU736. According to manufacturer, the transfer rates can reach a max of 5.76 MB/s while uploading and 21 MB/s while downloading. 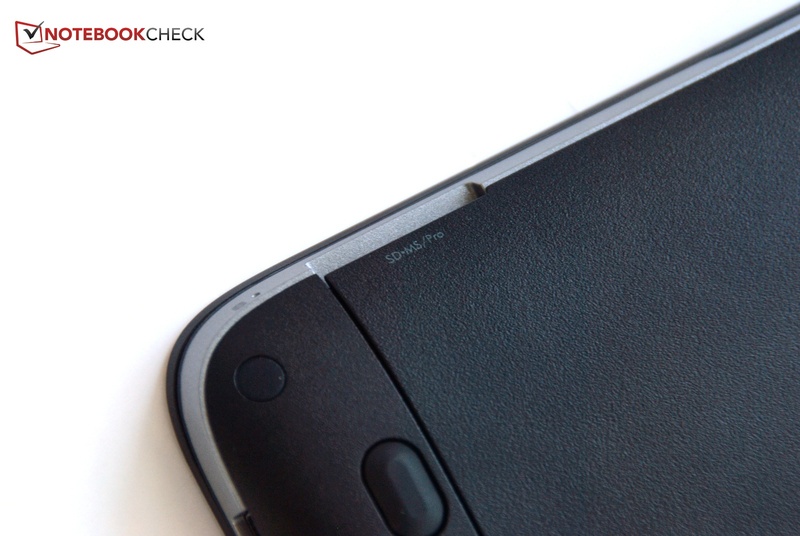 The SIM card slot can be found under the maintenance flap. The security features of the ProBook include the Kensington lock and various pieces of software. There is no TPM module or a SmartCard reader. 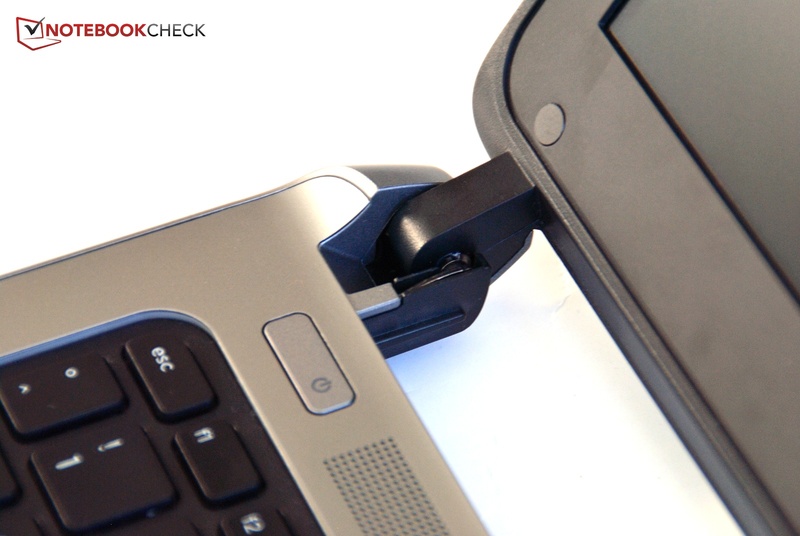 Only a fingerprint reader protects the ProBook from foreign access. 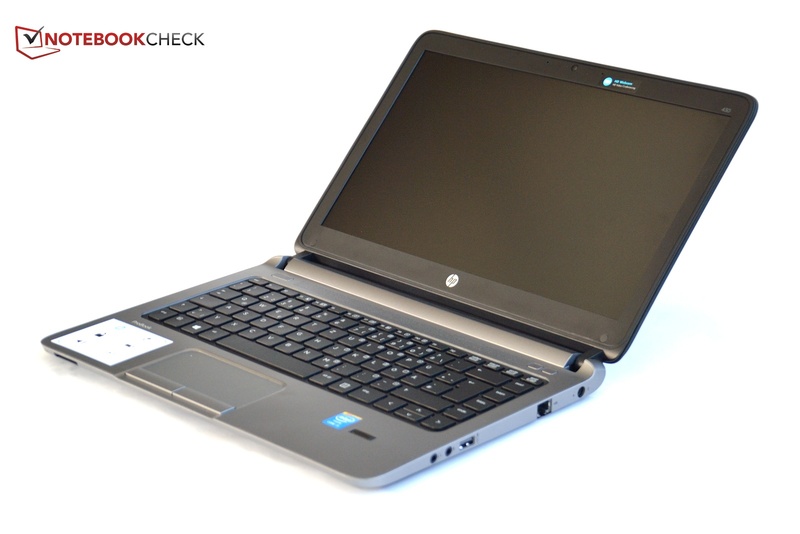 In addition, HP provides the Client Security software, which allows even entry-level users to encode their hard drive. The ProBook 430 does not come with any accessories. 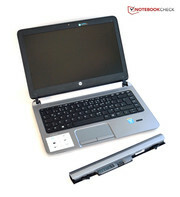 However HP offers a variety of these in their online store. The notebook lacks an interface for a docking station, but a port replicator might be an interesting choice. This can be placed on the table and connected via USB when the notebook is taken for trips. HP currently offers two port replicators: the HP 2005pr USB 2.0 includes VGA, HDMI, 4x USB 2.0, audio and 100 MB Ethernet for 94 Euros (~$126). 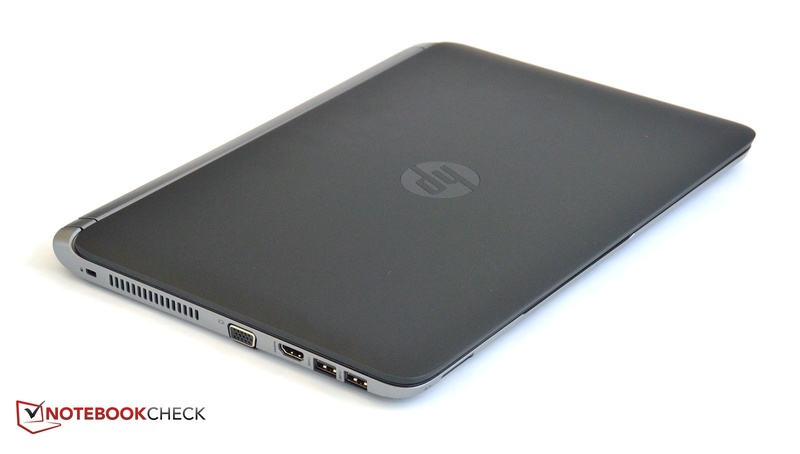 The HP 3005pr USB 3.0 costs 30 Euros (~$40) more but includes an additional 2x USB 3.0, DisplayPort and Gigabit LAN. An external optical drive might be a sensible investment as well. The battery can be easily removed. The maintenance flap is secured with two screws. Removing these and lifting the flap reveals the two RAM slots, one of which is unoccupied, as well as the WLAN and mobile broadband card. The hard drive is sadly not accessible. The mobile broadband card uses the new M.2 (aka NGFF) form factor. This means that users can replace this card with an mSATA SSD. However, we could not check if this would work. The buyer gets a standard 12 months warranty. In addition, the HP Care Packs serve as warranty extensions and cost between 83 - 215 Euros (~$111 - ~$289). These packs distinguish between the on-site repair (on the next workday) and repair in the factory. The warranty can be extended by 3 to 5 years. Furthermore, for 3 years, the user can even have defects caused by himself to be repaired. The keyboard uses the chiclet design and has been placed on top of a matte synthetic material base. The stroke distance is short and the impact is quite hard. This makes the feedback clear but the hard impact can put a strain on the hands. The keys are flat which means that they are not readily recognizable. The cursor keys have been crowded together due to lack of space. The up and down cursor keys have been halved in height. We recommend looking twice before hitting one. 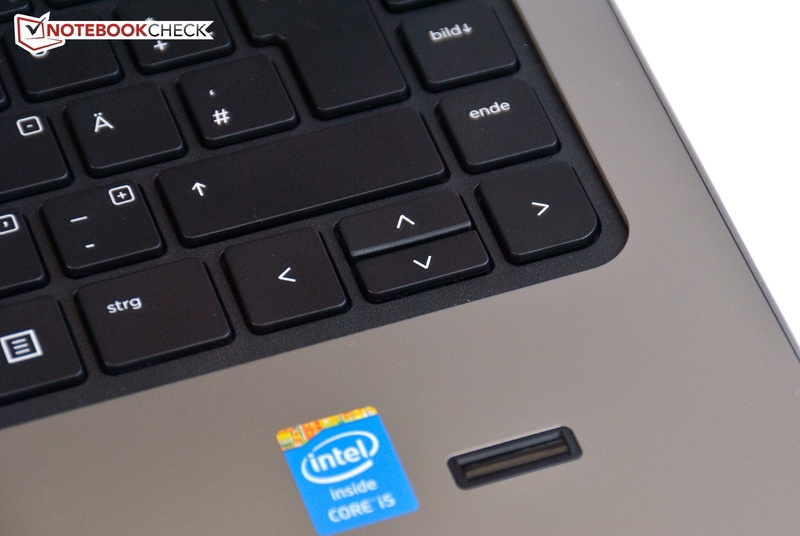 In this review, we were sad to see that the laptop lacks a keyboard backlight. Unfortunately, this feature is only available in higher priced models, like the 800 series of EliteBooks. We found the pre-configured settings to be quite annoying: Esc and F1 to F12 were made accessible via Fn keys. This might be okay for the brightness up and down keys, but the Esc key should always be available. Once the Fn key is pressed, the HP system information tool opens up. The settings can be changed in the BIOS. 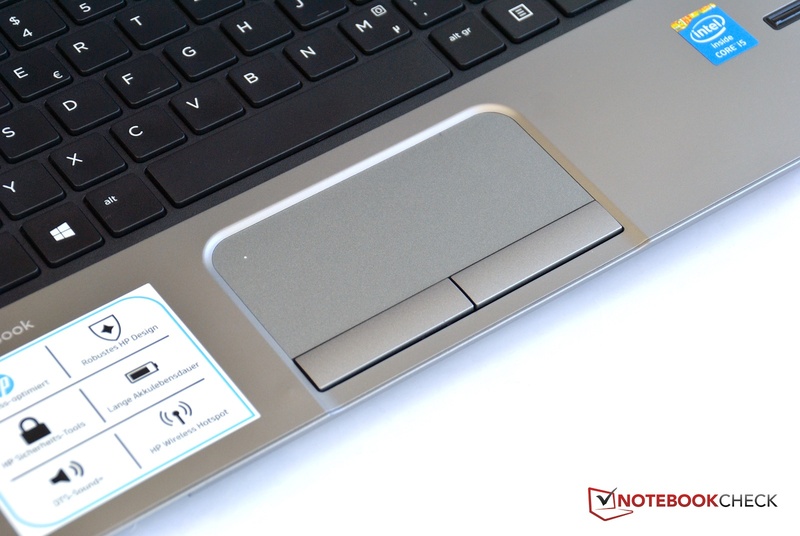 The Synaptics touchpad is precise and has decent sliding properties. Double-clicking the white point in the top left corner can de-/activate it. However, this might lead to accidentally turning the touchpad off. In the settings, the touchpad behavior can be adjusted according to the user's preferences. The mouse replacement keys provide good feedback, but are a little noisy. 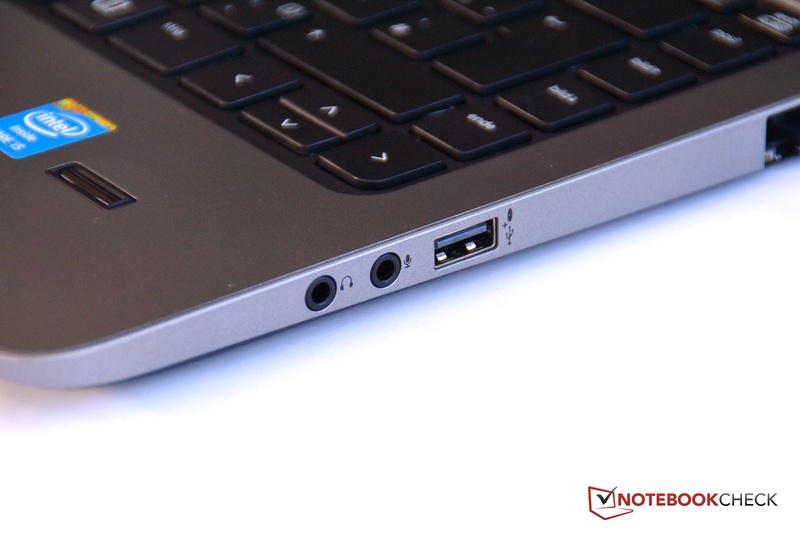 HP did not install a TrackPoint which is only available in the more expensive EliteBooks. HP installs a matte LG LED display in the ProBook 430. 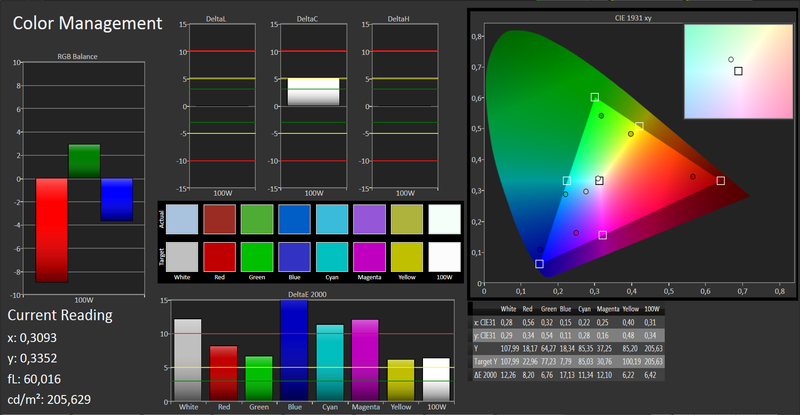 The resolution of 1366x768 pixels is typical for 13-inch notebooks. This limits the available work area but thankfully captions are legible without scaling it up. As the notebook is only available in one configuration, other resolutions are not offered. 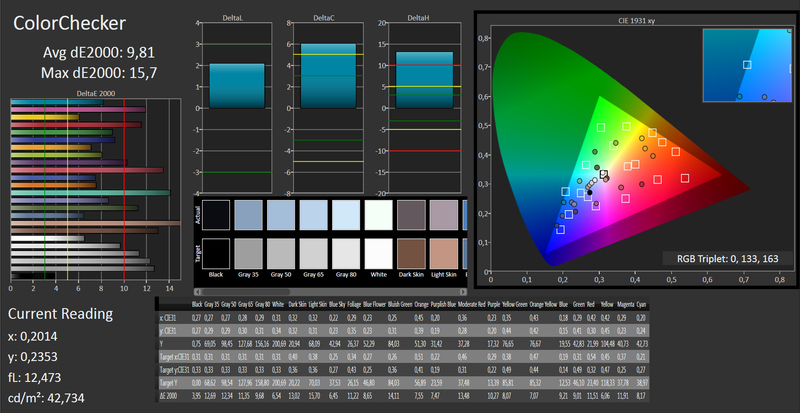 The brightness fluctuates between two different levels: the lower level being 164 cd/m² in the top right and 228 cd/m² in the middle. 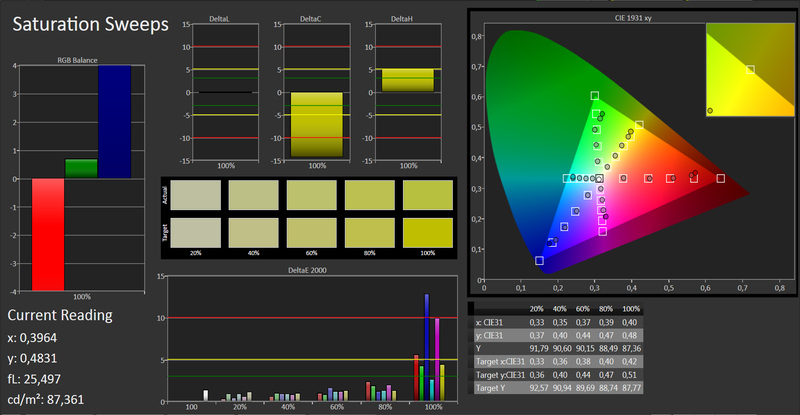 The distribution of brightness is a mere 72%. The average brightness measures a little over 200 cd/m² which is a little too low for a notebook meant to be used on-the-go. 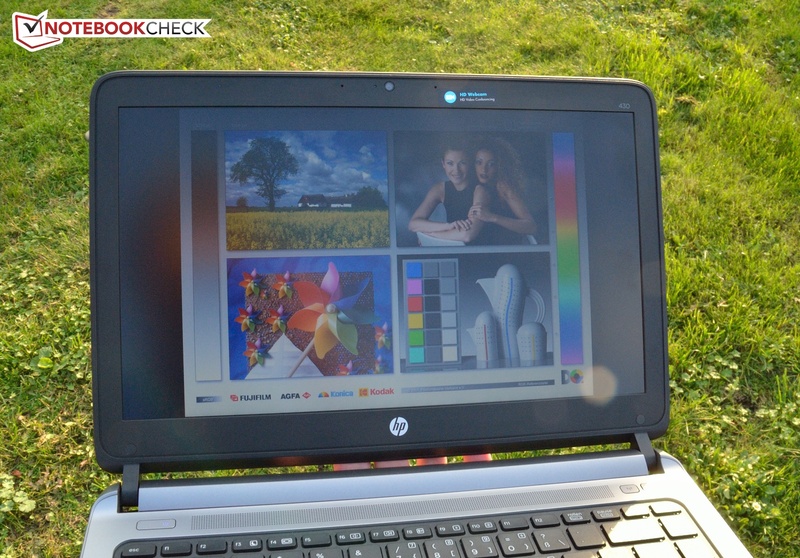 In the office, the brightness is sufficient but if you work outdoors in the sunshine, reading the screen can be a problem. 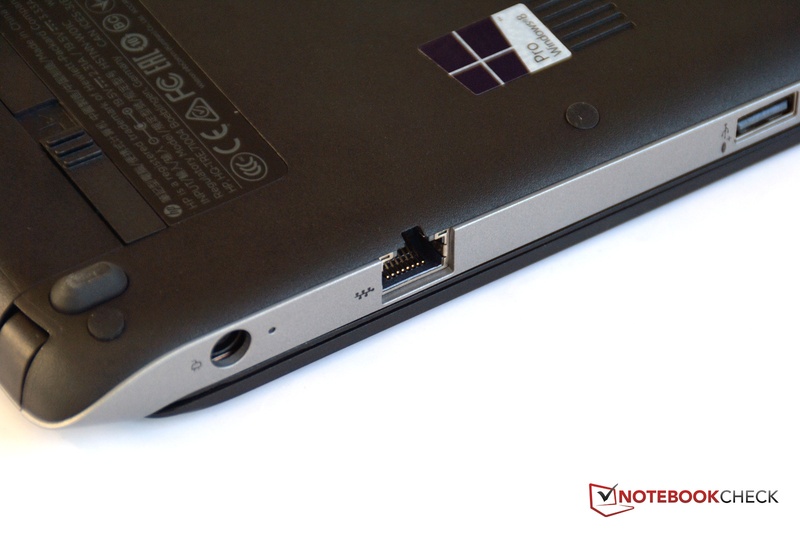 On battery, the brightness is regulated, as is typical for Windows 8, down to 93 cd/m². Such a low max brightness can be a major problem, however, the Intel graphics driver allows it to be pushed back up to 209 cd/m². 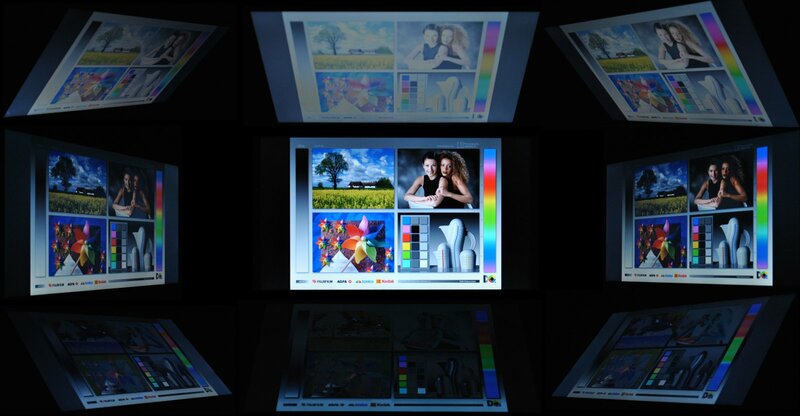 On external displays, the resolutions 1024x768, 1280x1024 and 1920x1080 are available. 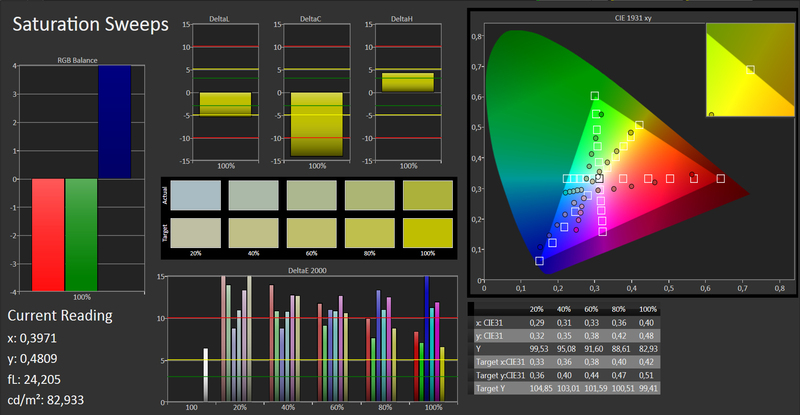 The resolution of 800x600 pixels is sadly missing (good for old beamers). The black value of 1 cd/m² is neither good nor bad. However, the manufacturer claims a contrast of 400:1 which is actually not the case: we measure 222:1. 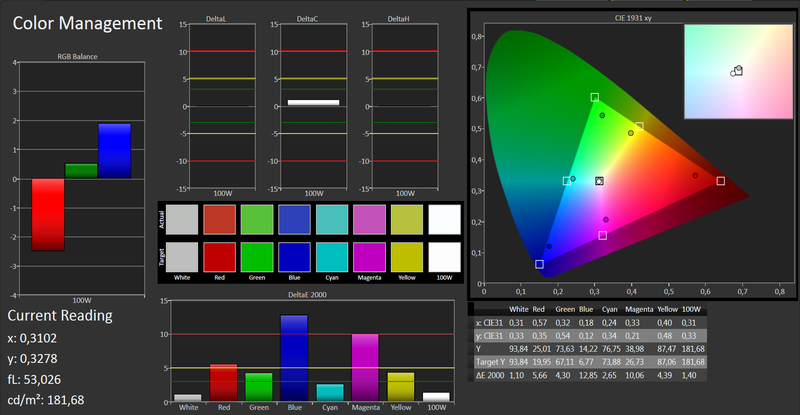 The sRGB color space is not covered by the ProBook 430. 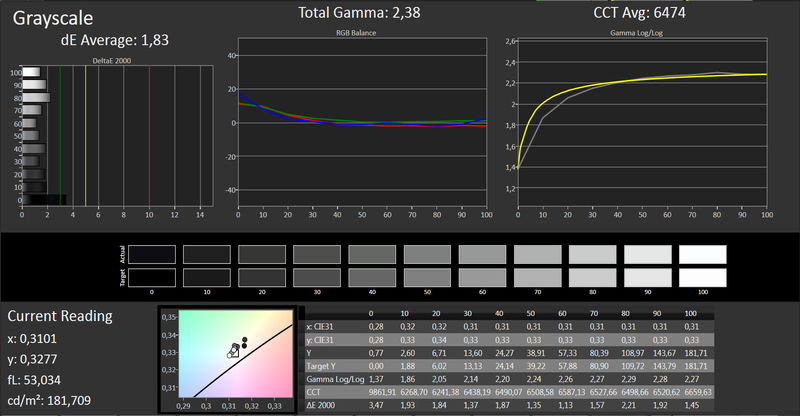 With factory calibration, the measured values differ clearly from the ideal values. The blue tinge in the display is also noticeable. 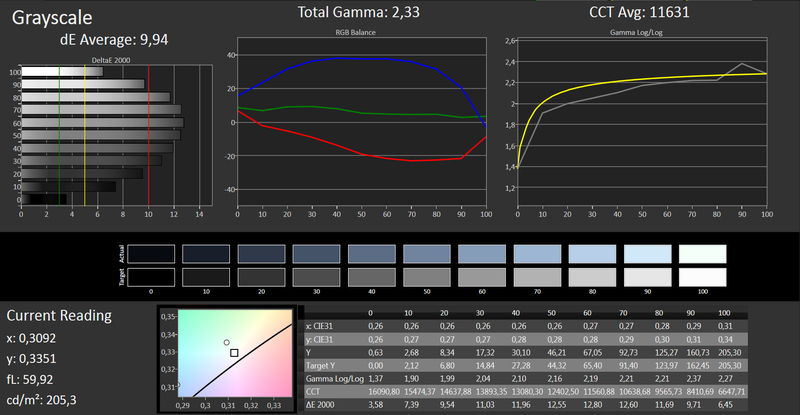 However, after calibration we could find no room for complaint. In bright surroundings, the ProBook benefits from its matte display surface. This helps prevent distracting reflections. However, the average brightness of 200 cd/m² is far too dark to work comfortably outdoors in the sunshine. The viewing angles of the display are very limited. Regardless of whether you look from above, below or from the sides, the screen looks very dark and can be pale or inverted. This makes the panel a poor choice for watching movies together with friends (also the screen size). The ProBook 430 is currently only available in the configuration we are testing here. This includes an Intel Core i5-4200U with integrated Intel HD Graphics 4400, 4 GB of RAM and a 500 GB HDD. This makes it clear what the notebook is meant for: long battery life and light graphics performance. While CAD, games and 3D rendering are out of the question, our test model is well-equipped for any other tasks. 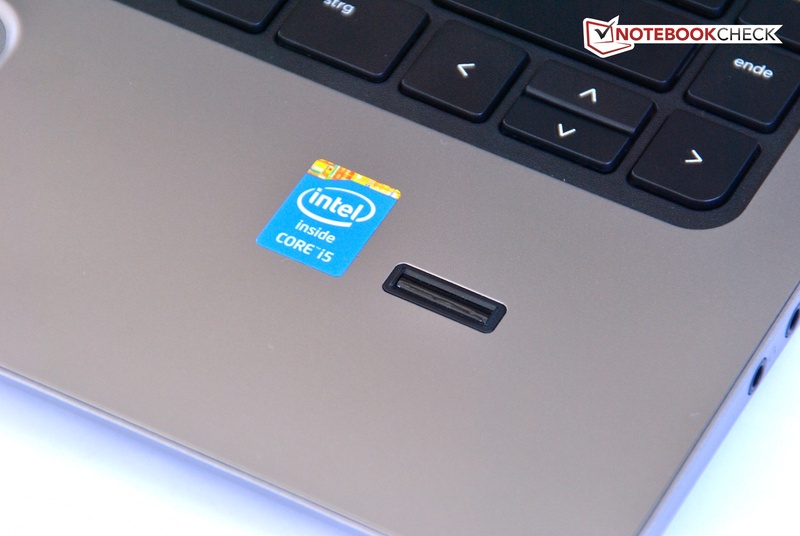 Our Intel Core i5-4200U originates from the Haswell generation and combines the IGP and chipset in one. The dual-core CPU is a ULV processor (Ultra Low Voltage) which is a group of processors with low power consumption. This makes them ideal for Ultrabooks. Our processor has a TDP of 15 W (Thermal Design Power). The standard clock speed is 1.6 GHz. Depending on the usage, the clock speed is adjusted higher or lower. This means the CPU can reach up to 2.6 GHz with a single core or 2.3 GHz with two cores. Additional information can be found in our FAQ section. The score of 2.5 points in Cinebench R11.5 means the CPU has enough juice for office, multimedia and picture/video editing. 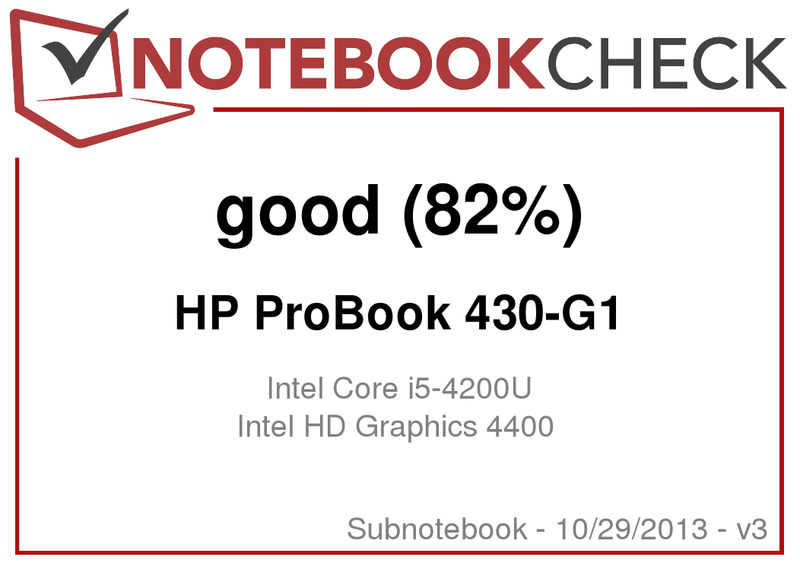 The Dell Latitude 3330, which uses the Intel Core i5-3337U, probably offers a similar score. For comparison we can look at the Gigabyte Padbook S1185 which uses the 3337U and also scores 2.5 points. In PCMark 7, the ProBook offers 2,683 points - not great. The notebook could offer much higher system performance if it were equipped with dual-channel RAM or an SSD. A dedicated graphics card is sadly not an option. Still, the notebook runs on Windows 8 seamlessly, and in comparison to the score, the boot time is also good. A Hitachi HDD is used for storage. The Travelstar Z5K500 runs at a speed of 5,400 rpm and has a capacity of 500 GB. The transfer rates are above average and the access times measure 18.4 ms, which is quite a lot when compared to SSDs. This is an area which can be radically improved and quite easily too: swap out the HDD for a modern SSD and the everyday performance of the laptop will rise strongly. 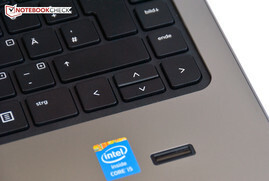 The Intel HD Graphics 4400 IGP is used as a graphics processor for the laptop. This offers a better performance than the Intel HD Graphics 4000, but it is not suited for gaming. In 3DMark06, the system scores 4,649 points and places at the low end of the benchmark list. We find the option of allocating more memory to the graphics chip in the BIOS interesting. 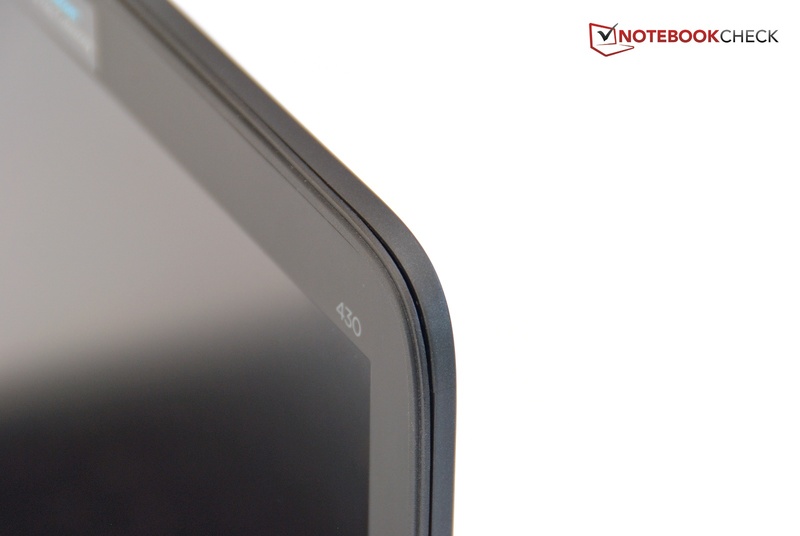 If the memory is increased from 128 to 512 MB, the notebook scores much higher: 5,097 points. The performance of the CPU remains at the same level. 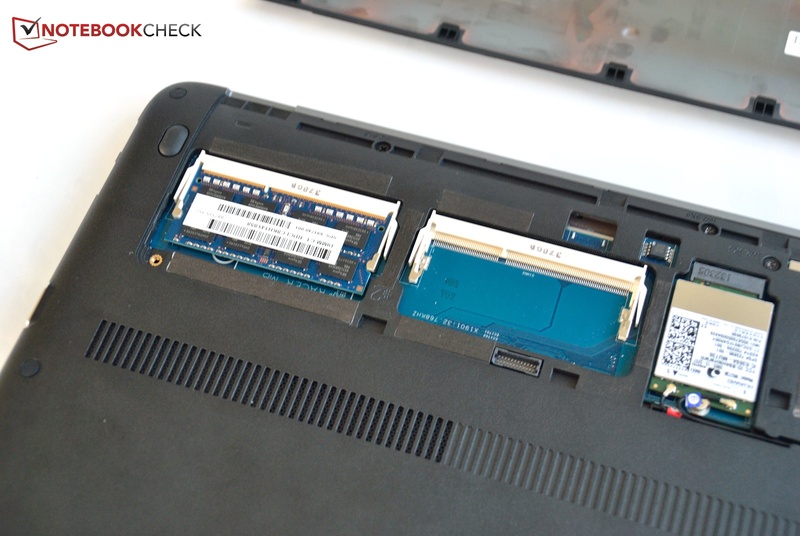 The laptop could also benefit from dual-channel RAM as a second RAM module (of 4 GB) raises the score up to 6,210 points in 3DMark06. The processor performance does not rise. This upgrade can provide a rise in performance of more than 30%. The ProBook 430 is not designed for gaming. Some of the latest games can be run at low settings but the laptop can not offer more. We recommend less demanding games, such as FIFA, as these can run at the native resolution at a good frame rate. An office notebook should remain as quiet as possible. 30.8 db(A) while idle is acceptable but the problem is the annoying fan noise. The cooler fan emits a scratching noise which can be very uncomfortable in quite surroundings. Thankfully, the fan is not always so noticeable. There are times when the fan remains quite calm and the user cannot hear it. Unfortunately, these periods are far too short and rare. In addition, when the HDD accesses files it is also audible. It makes itself audible with beeps and the irregularity of these can be quite disturbing. 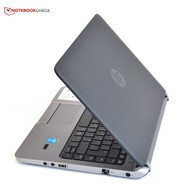 While idle, the notebook remains comfortably cool, which is ensured by the constantly running fan. 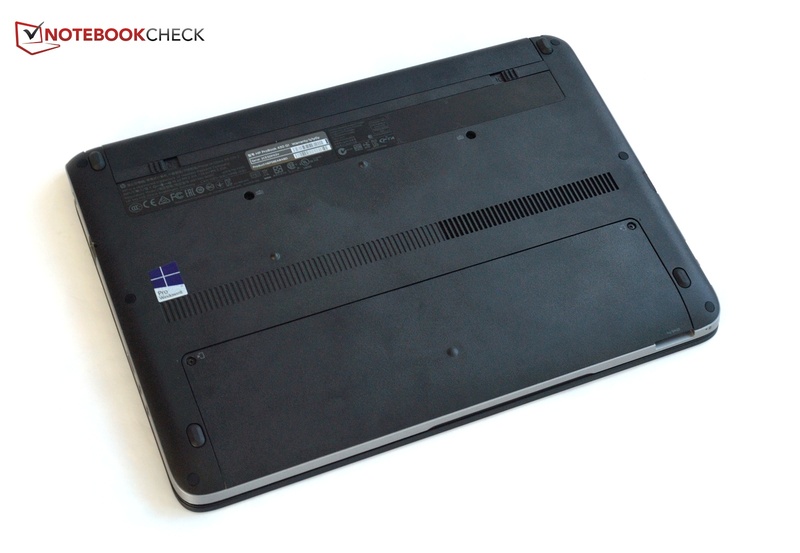 The top of the notebook remains below 30 °C and only near the ventilation opening on the bottom does the laptop reach 33 °C. In our stress test, this area on the left side heated up to 45 °C, which makes it uncomfortable to use the notebook on the lap. The top of the notebook remains below 34 °C even at load. (+) The maximum temperature on the upper side is 33.2 °C / 92 F, compared to the average of 35.8 °C / 96 F, ranging from 22 to 57 °C for the class Subnotebook. (±) The average temperature of the palmrest area of similar devices was 28.6 °C / 83.5 F (+0.3 °C / 0.6 F). In our stress test, we stress the CPU and the graphics processor for more than one hour. We pay close attention to the clock speed of the processors to check if the cooling system can keep everything running well. We observed a surprising behavior: the temperature of the chip remained below 65 °C (very cool) and yet the processor would only run at 800 MHz, instead of 1,600 MHz and the graphics processor ran at 600 MHz, instead of 1,000 MHz. This explains the low TDP value of 15 W, which is the combined value for the chipset, the CPU and the IGP. The clock speeds of both processors are kept well in check so as to avoid exceeding this level. This limits the performance significantly. DTS Sound+ is the title of the sound system HP installs in this model. However, the music still sounds like a typical office notebook: very bad. No bass and the max volume is not very loud. The sound output is very brassy. The DTS Sound+ is merely an equalizer which is hidden in the information bar. While idle, the notebook requires less than 4 watts with its brightness set to minimum and WLAN turned off. If the notebook is used to surf on the web, the consumption doubles. HP has developed a laptop which consumes very little power. 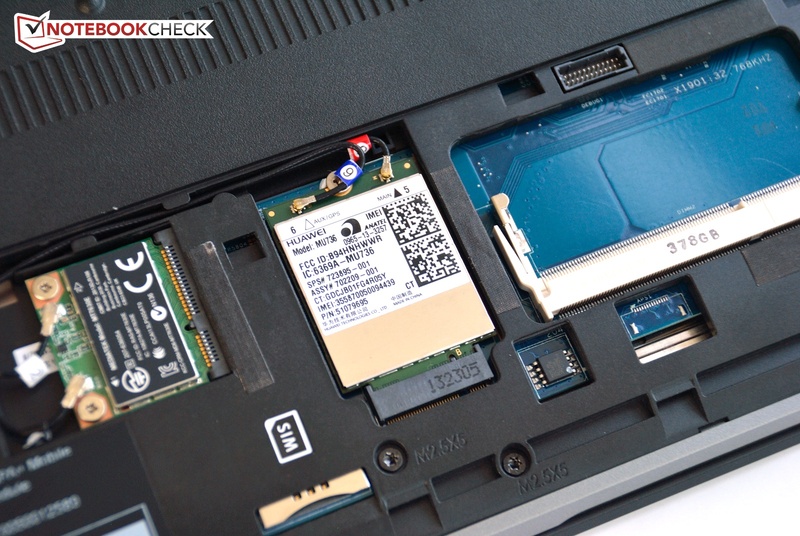 In the stress test, the laptop consumes 25 W and it can rise above this mark for a short while, after which the notebook throttles the components down, thus making sure that the TDP is not exceeded. 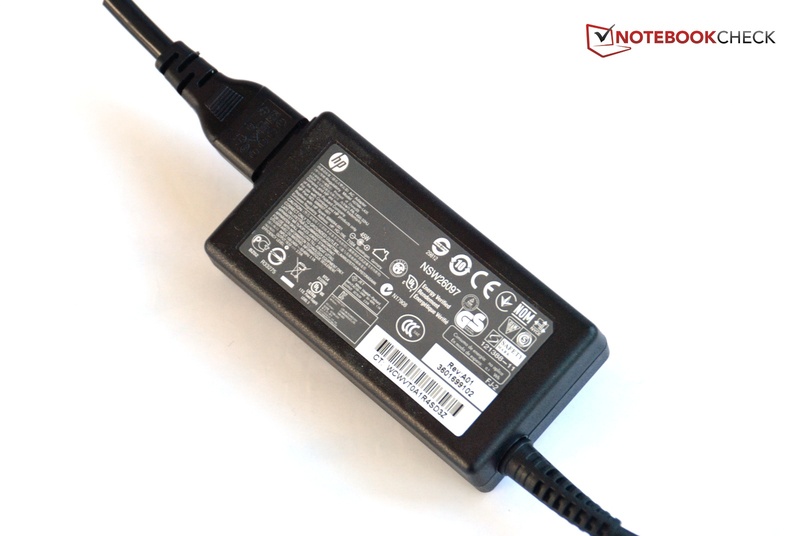 The HP ProBook 430 uses a 44 Wh battery and a second battery is available for 65 Euros (~$87). However, different capacities are not available. The handy power adapter offers 45 W, which is enough. The max possible battery life was measured by running the Batter Eater Reader's test. 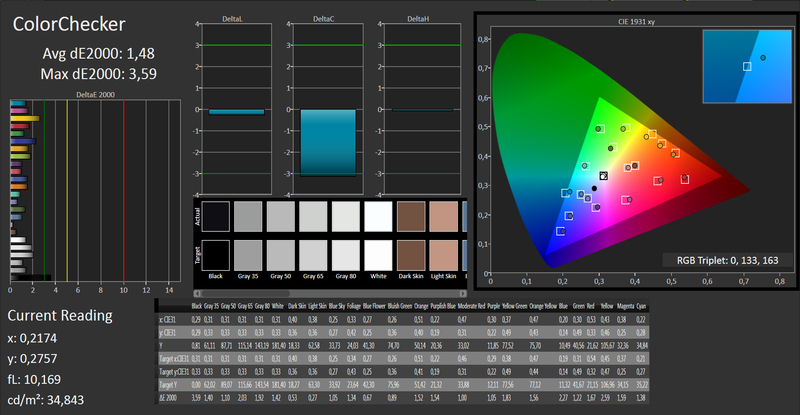 For this test we set the brightness to minimum and turned all modules off. The test simulates reading a text document and the laptop lasted more than 11 hours. In the more practical WLAN test, the notebook is run at 150 cd/m². The battery lasts over 4 hours. If both the processor and the IGP are stressed using the Battery Eater Classic test, then the battery is depleted within 2 hours. 2 hours is required to fully charge up the battery. 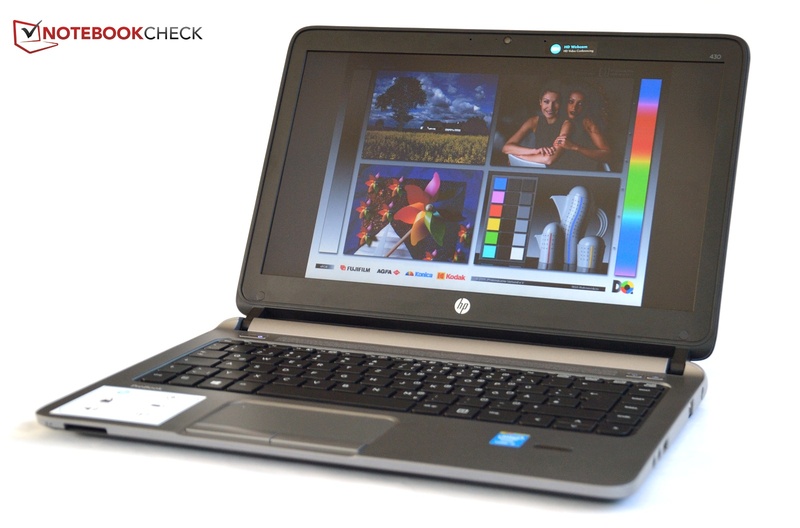 HP positions the ProBook 430 between the consumer and business classes. The model offers a few nice business features, like the fingerprint reader, data encoding software and the mobile broadband card. These set our model apart from the crowd. Furthermore, HP offers a multitude of accessories and the warranty can be adjusted according to the preferences of the user. However, the laptop lacks a lot of physical security features, a docking interface and a good (better) display. The above-mentioned flaws deny the notebook classification as a business model. 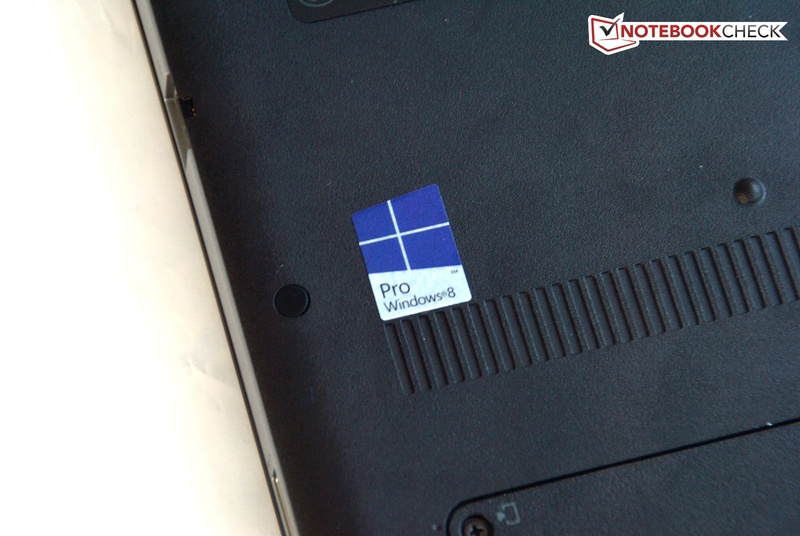 The scales are tipped in favor of the ProBook 430 by its pricing: a mere 640 Euros (~$862). For such a low price, it may be possible to stomach the performance throttling (to stay within the TDP limit) and the poorly-lit display. However, the flawed keyboard may prove to be the tipping point for many potential buyers. Buyers willing to invest a little more money will find that adding a secondary RAM module or an SSD is well worth the effort. Overall, the ProBook 430 is not as well-balanced as one would expect of an EliteBook, but it deserves a recommendation thanks to its pricing. However, the buyer should not expect a full-blown business notebook for this price, as this model is closer to consumer devices and scores points thanks to its extensive warranty and upgrade options. ...is a cheap subnotebook meant for business users. 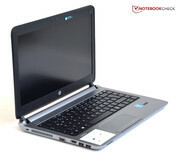 It is optimized for business and has a "robust HP design". One of the most important business features is the fingerprint reader. A TPM module or a SmartCard reader are not available. The hinges are stylish, but are prone to grease marks. ... as they let the display move/wobble. The maximum opening angle should have been larger. ... but it lacks in the graphics department. The audio jacks and the lone USB 2.0 port are placed to the front on the right side. The Ethernet port supports Gigabit LAN. The port is so high that it is not possible to build in a flap. HDMI and USB 3.0 are placed too close to one another which will lead to some issues. 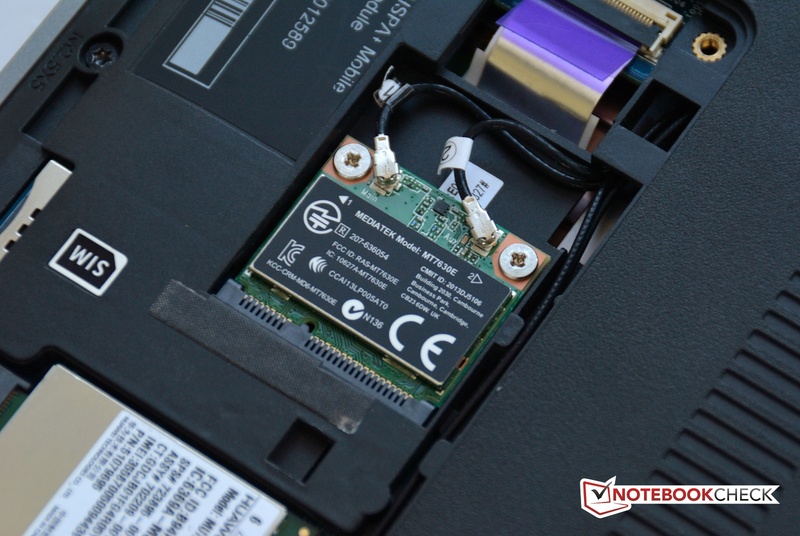 The card reader has a caption on the bottom of the laptop. The ventilation opening rarely pushes out warm air. If the battery is removed, then the rear is completely free. The 45 W power adapter is well-dimensioned. The bottom of the laptop has a maintenance flap secured by two screws. ... and the WLAN card from Mediatec can be found inside. The notebook runs on Windows 8 Pro. 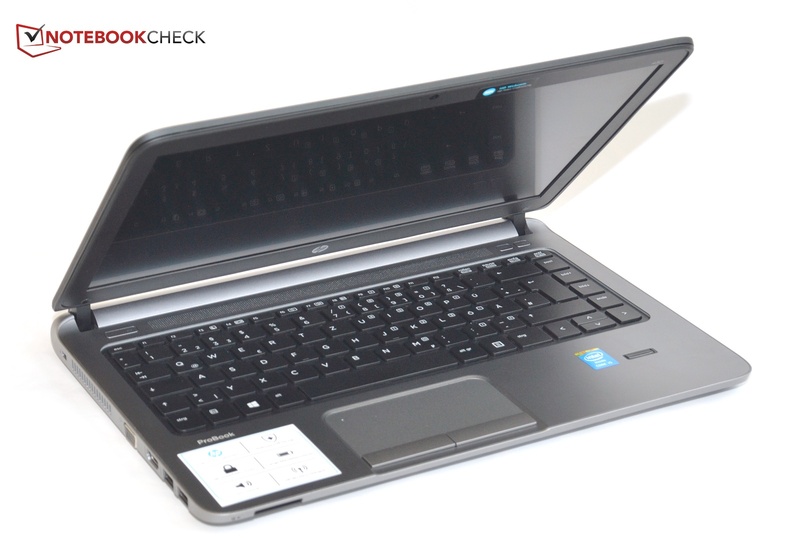 Overall, we recommend the ProBook 430 due to its low price. The mobile broadband card provided as standard. The Esc key has to be accessed via the Fn key. Direct competition with similar hardware and such a low price is hard to find. Dell offers the Latitude 3330 with Ivy Bridge. Lenovo has no 13-inch models in this category. Fujitsu has the U554, an interesting notebook, but it costs more.